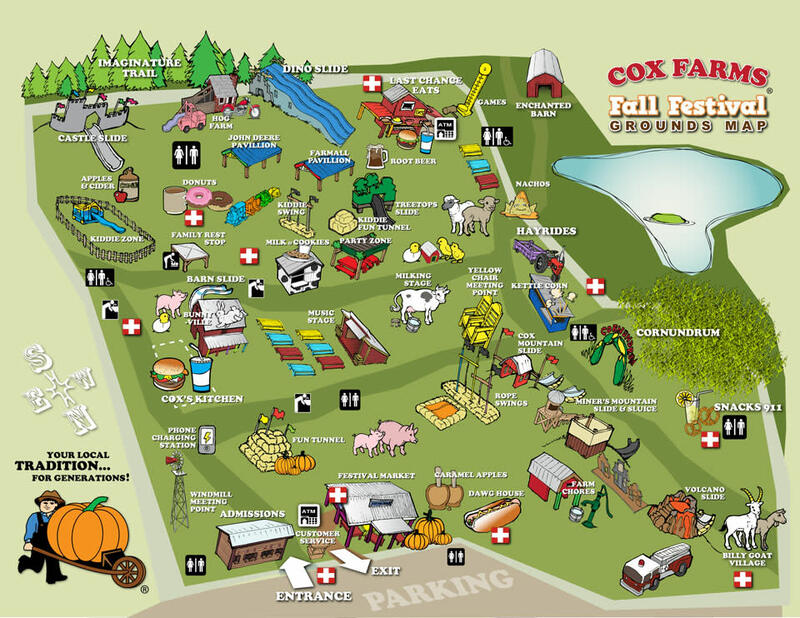 Cox Farms celebrates the changing of the seasons with the return of the Cox Farm&apos;s Fall Festival, the DC area&apos;s biggest and best fall festival! Named by USA Today as one of the "Country&apos;s Coolest Pumpkin Patches" and also by Funtober as one of the "Top Farms for Fall Fun in the United States," there&apos;s a reason why so many families keep flocking back to Cox Farms year after year. Continue reading below to see some different ways you can have fun on the farm! The Fall Festival features everyone’s favorite attractions, including hayrides, giant slides, rope swings, the Cornundrum Cornfield adventure, the Imaginature Trail, and all sorts of farm animals and their babies. Friendly goats welcome you to their redesigned Billy Goat Village, where you can visit and feed them. Each slide is themed differently, so you’ll fly out of castles, barns, and volcanoes, exploring everything from dinosaur digs to mining towns to giant beanstalks. Also explore Treetop - a series of connected, raised platforms to explore, with giant bark-covered utility pole “trunks” as their bases. Treetops visitors can take in the 360-degree views of the festival grounds from above, and enjoy interactive features including flag-raising and noise-making. Treetops also features two slides, one fully covered tube slide and one open slide. 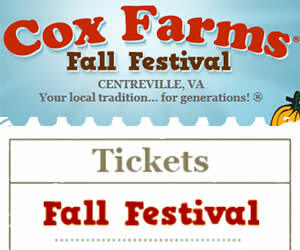 You can buy tickets online at Cox Farms&apos; website. Browse or download the festival map below and plan your own adventure! 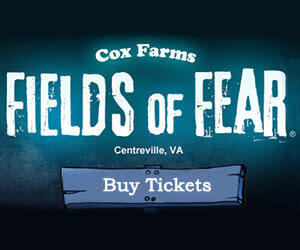 Cox Farms&apos; Fields of Fear™ - what happens when darkness falls on the farm. The friendly daytime Imaginature Trail takes a dark turn for Fields of Fear, transforming into The Forest: Back 40. The Forest has doubled in length for 2016, and now consists of half a mile of fear. The Forest joins two other haunted attractions at Fields of Fear, the Dark Side Hayride and the Cornightmare. The Firegrounds feature several bonfires, a six-lane slide, music, entertainment, tasty treats, and Fear Games, including the dark maze, Nyctophobia (hint: the name means “Fear of the dark”). Not Recommended for children under 12 years old. All under age 14 must be accompanied by a parent or guardian (18+). ADMISSION TICKETS STRICTLY LIMITED! Buy your tickets online or same-day at the door. Not Recommended for children under 12 years old. All under age 14 must be accompanied by a parent or guardian (18+). Proof of age required. NOTE: Some attractions may sell out prior to 10 PM. What happens to pumpkins after Halloween? Pumpkin Madness!!! Cox Farms recycles pumpkins in the most fun ways possible like - drop them from the High Drop, squish them with the Squisher, Smash them with the Smasher, and you can stomp them youself in the Stomping Grounds. Dates/Times: Regular hours of operation. 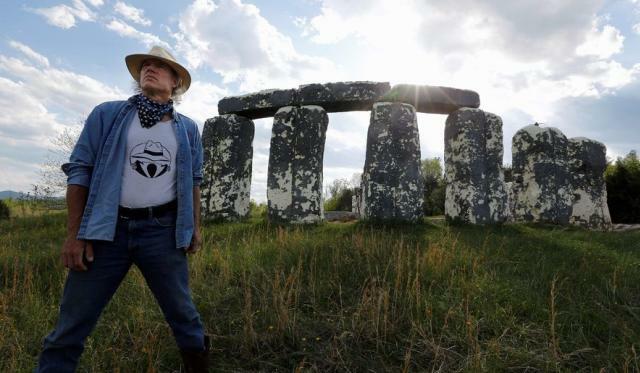 Foamhenge, a full-size Styrofoam replica of England&apos;s famed Stonehenge, debuted at Cox Farms as part of the 2017 Fall Festival and Fields of Fear events, after being moved to Fairfax County from the Natural Bridge area of Virginia. It was created by artist Mark Cline of Enchanted Castle Studio in 2004. During the 2017 Fall Festival, Foamhenge will be included with admission. Beginning in Spring 2018, you will be able to visit Foamhenge 11 AM-3 PM on Saturdays during the "Smokin&apos; Saturdays" events in the spring and summer seasons. Please note that Foamhenge is located on private property and can only be accessed during the times specified.